After appearing healthy recently, everyone thought Kim Woo Bin had cured his cancer. However, he made people surprise when he appeared at the hospital. 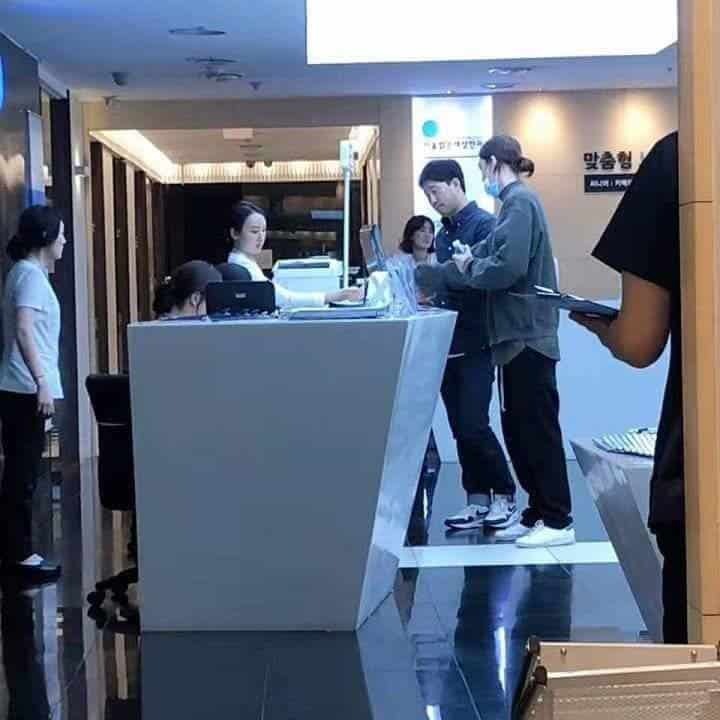 More than a month ago, Kim Woo Bin came out with his friend Lee Jong Suk on a trip to Hawaii after a year of fighting with radiation and chemotherapy. In the rare pictures, Kim Woo Bin seemed to be recovering and his body was healthier than before. People thought that he has fully recovered but recently the actor was again caught being in an eye clinic. This made the fans extremely worried about his current health condition. Kim Woo Bin suddenly appeared in the hospital to go under surgery. However, fans can breathe a sigh of relief now as the actor arrived at the hospital just for the purpose of doing eye surgery with a 5-to-10-minute procedure. Looking at the image, Kim Woo Bin seems to be perfectly healthy with long hair and tall, solid body. This photo was taken about a week ago which makes fans more confident about the health of male celebrity. EXO comeback countdown, EXO is coming soon! JYP’s pro-Japanese controversy is raging, what’s actually the Nizi Project? Looking at the set of 3 hits by Blackpink, BTS and TWICE: Is it true that K-Pop is spreading in sync with increasing English lyrics? BTS is popular all over the world and North Korea is not an exception.